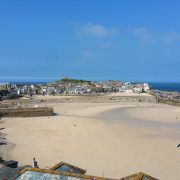 The artistic tradition in St Ives dates back to the end of the 19th century but it was not until the mid 20th century that the town established itself on the avant-garde of the British art scene. There are few names that are more synonymous with this era than that of the sculptor Barbara Hepworth. Hepworth was born into a middle class family in Wakefield, Yorkshire at the turn of the century. Her father was a civil engineer who went on to become county surveyor. Hepworth’s artistic prowess was obvious early on and she was awarded a scholarship to Leeds School of Art in 1920. It was here that she met fellow sculptor Henry Moore, perhaps the best known of the wave contemporary artists from this era. There is little doubt he was a great influence on her work, but it is likely this was a two-way process. From here she won a further scholarship to the Royal College of Art receiving a diploma in 1923. The following year Hepworth stayed on to compete for the Prix de Rome. She lost out to John Skeaping who would become her husband. After a spell in Italy Hepworth and Skeaping returned to settle in London where they both built up reputations and portfolios. Although the couple had a son, Paul, in 1929 their relationship couldn’t survive and they were divorced in 1933. 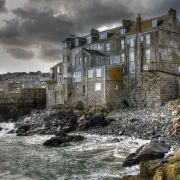 It was during this period that she met artist Ben Nicholson with whom she would eventually move to St Ives with. In 1934 Hepworth and Nicholson became parents of triplets; Simon, Rachel and Sarah Hepworth-Nicholson. 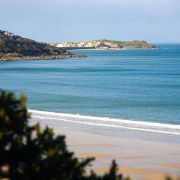 Four years later the couple were married and shortly after, with the outbreak of war, moved to St Ives, settling first in Carbis Bay. 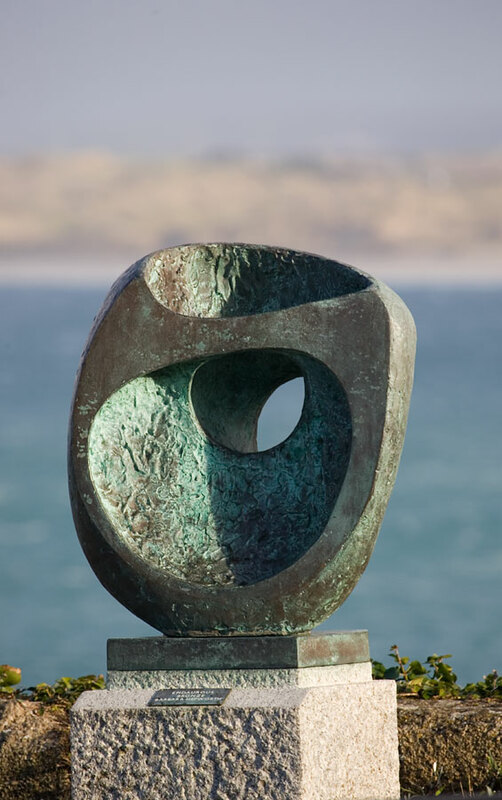 Whilst Hepworth was largely occupied with family life Nicholson became an influence on up and coming local artists such as Peter Lanyon, Terry Frost and John Wells forming the breakaway Penwith Society of Artists. After this hiatus, Hepworth returned to the art world with a number of exhibitions and commissions in London. Towards the end of the 1940s, her and Nicholson’s relationship had begun to falter. 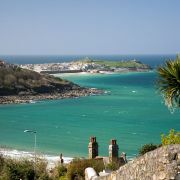 In 1949 she bought Trewyn Studio (now the Barbara Hepworth Museum) moving there in 1950 and divorcing Nicholson in 1951. Barbara Hepworth lived and worked at Trewyn Studio for the rest of her life and it was during this period that she produced most of her best known works. She found the studio inspirational, writing, 'Finding Trewyn Studio was a sort of magic, here was a studio, a yard and garden where I could work in open air and space '. It was around this time that Barbara Hepworth began moving from here preferred media of stone and wood towards the bronze we mostly associated with her. 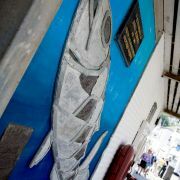 Castings of many of these still remain in St Ives, either at the Trewyn studio or in various locations about the town. The space afforded by working outside also allowed the scale of her work to increase. In 1953 Hepworth’s eldest son, Paul, was killed in a plane crash in Thailand whilst serving with the RAF. 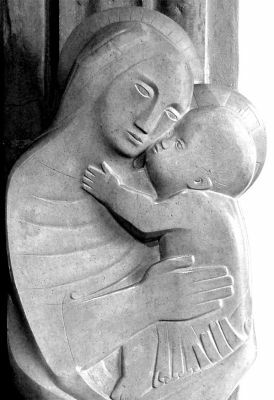 There is a touching memorial in the Lady chapel of St Ia church, the Madonna and Child (Bianco del Mare) which Hepworth carved in stone. During the 1960s Hepworth solidified her status as an internationally recognised artist with works such as ‘Single Form’, a casting of which stands outside the United Nations building in New York. This pierced form is highly representative of the style Hepworth is best known for. 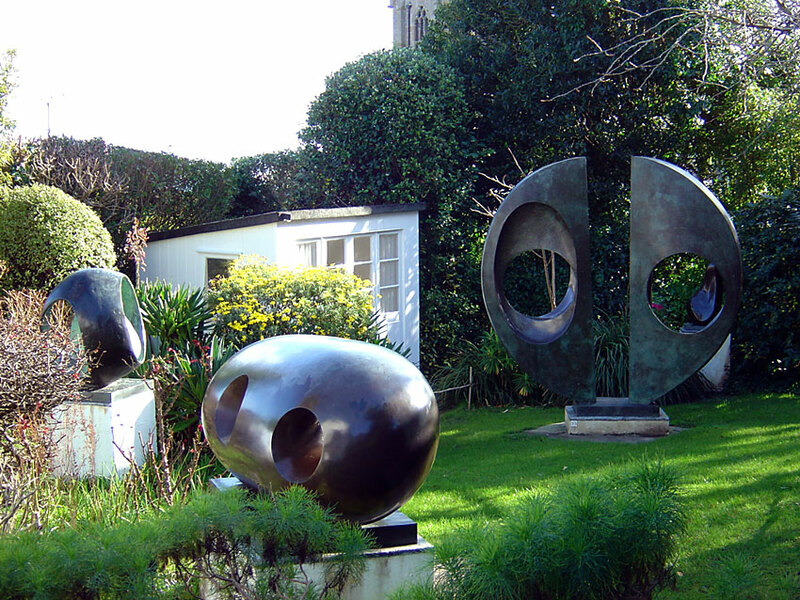 Along with Henry Moore it is Barbara Hepworth who can lay claim to the influence of the hole in modern sculpture. In 1965, at the age of 62, Hepworth became Dame Barbara Hepworth (Commander of the British Empire) for her contribution to the world of contemporary art. The same year she was also appointed a Trustee of the Tate Gallery in London. Hepworth continued working into her 70s at the Trewyn studio. However, tragedy struck on the 20th May 1975 when Hepworth died in a fire at her studio which is believed to have been caused by a cigarette setting light to her bedclothes. 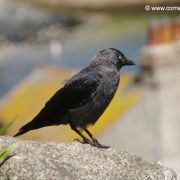 She had been seriously ill for some time before her death but the accident came as a shock none-the-less. Brabara Hepworth is buried in Longstone cemetery in Carbis Bay with a plain slate headstone marking her grave. The Barbara Hepworth Museum and Sculpture Garden opened in 1976 in line with the wishes expressed in her will. It contains the largest selection of her works on permanent display and it is fitting that these are set in the garden where they were envisaged and created. The Museum is owned and managed by Tate Gallery and has been since 1980.